Another guest review by Ethan! 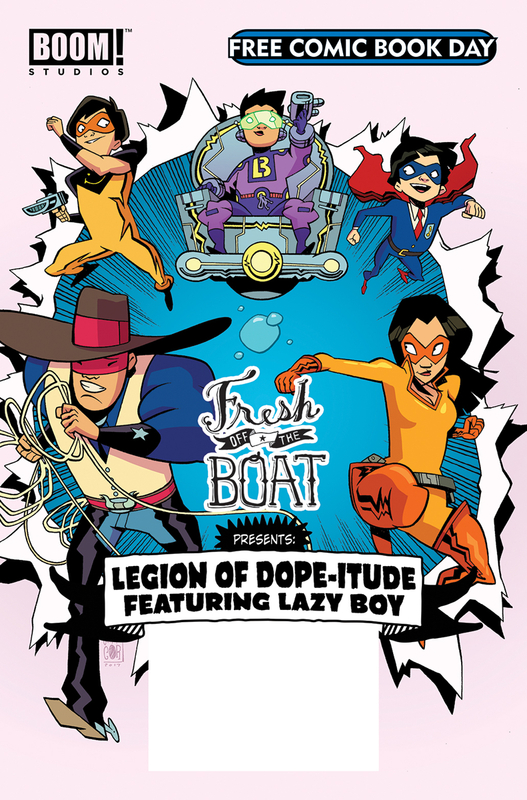 Tying into an episode of the Fresh Off The Boat television series airing in May, this Free Comic Book Day special reveals the characters created by Eddie and Emery for a comic book contest on the television show! I’ve never seen an episode of Fresh Off The Boat before, so I’m not familiar with that aspect of this story. However, I loved writer Gene Luen Yang’s Shadow Hero graphic novel, so I was really interested in reading more from him. The Jack Kirby-esque cover of the issue also didn’t hurt. With TV tie-ins, there’s always a debate about how to handle the likenesses of real people. Jorge Corona opts to go the cartoony route for this issue, which I feel was the right way to go given the overall comedic tone of the story. His page compositions are pretty solid, and he does a nice job of making each character look suitably unique, while still keeping enough common traits between the characters to remind you that they’re a family. The art is very clean, and super easy to follow, and all of the characters are fluid in their motion. There’s a lot going on in each panel, but the art is laid out in such a way as to draw the viewers eye to the proper focus every time, showing great care in the construction of the craft. It’s possible I might have gotten a little more out of this issue if I’d seen any of the show. There seem to be some bits that are picking up on prior material, and the characters are sort of just thrown into the story without a whole ton of introduction. That being said, it’s a family that get’s super powers, and they generally follow the basic sitcom family tropes. Not super hard to follow or connect with them. The story is clearly crafted to follow up on the show’s episode “Pie vs. Cake,” as explained by the first page of the comic. Eddie Huang (who is nominally the comic’s main character) informs us of his brother Emery’s comic, which re-invisions the family as a team of super heroes. Shortly thereafter, the real life Huangs discover they have powers just like their comic-counterparts. We then get a few of their exploits as heroes, and discover the (more than a little tongue-in-cheek) origin of their powers, all wrapping up in a big, goofy comic-book battle with a giant monster. Most of the family members gets a moment of focus to showcase their abilities, which range from standard issue (The Persuader’s hypnotism) to rather unique (Lazy Boy’s “channel changing”). The only one left out is Evan/Blazer Boy, who doesn’t seem to really have any abilities of his own, and mostly just hangs around his mother. Once again, I’m not sure if this is a show thing or what. It struck me as slightly odd, but not enough to ruin the issue. The dialogue is generally pretty solidly crafted; they talk more or less like real people would, and many of the characters have their own tics and gags. I was particularly amused by the lampshading of a few of the stereotypes that Asian comic characters are frequently saddled with. The issue ends in a rather open-ended fashion, which could potentially lead to additional stories, and I wouldn’t be opposed to such a prospect. This is a guest review done by my wonderful boyfriend and the mind behind The Figure in Question! He went with me to Free Comic Book Day and he’ll be reviewing the books he picked up. The Marvel Universe is under siege from the greatest threat it has ever known! 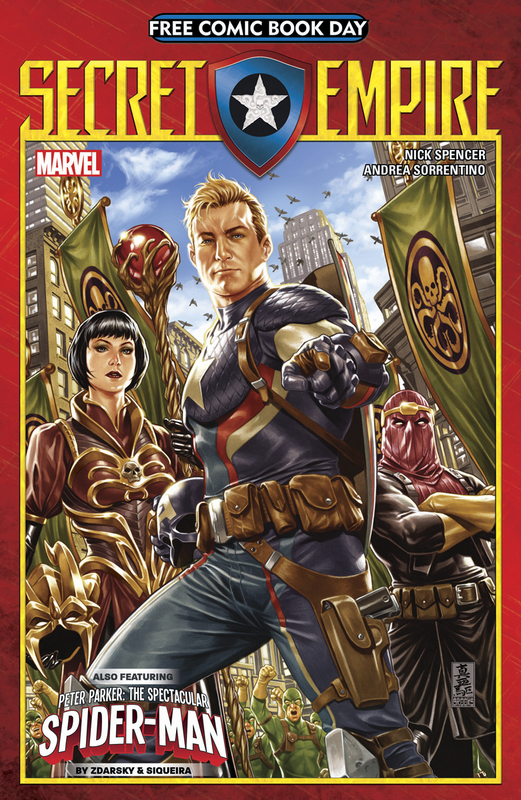 Everything has been leading to this as Nick Spencer and Andrea Sorrentino bring the entire Marvel Universe together for the highly-anticipated SECRET EMPIRE series! UNITED THEY STAND against a common foe, the Avengers, the X-Men, the Defenders, the Champions, the Inhumans, Spider-Man and more must hold together as an unwavering front! Yet even their combined might may not be enough to withstand the awesome power of Hydra! Then, after his globetrotting adventures Spider-Man has returned to his friendly neighborhood as Chip Zdarsky and Paulo Siqueira present a sneak peek at PETER PARKER: THE SPECTACULAR SPIDER MAN! A new companion series to the best-selling Amazing Spider-Man, Peter Parker is back in the Big Apple he’s brought the Ol’ Parker Luck with him! Don’t miss your first taste of this back-to-basics and high-flying ongoing series! This was the only FCBD pick-up that I knew about prior to arriving at our local store. I’ve been following the events of Nick Spencer’s Steve Rogers: Captain America series, which is a direct lead-in to this. Since it’s a continuation of a story I’m already reading, I obviously wasn’t planning to just skip it. The general public’s not too hot on the whole Hydra Cap thing, but I’ve been enjoying seeing where it’s been going, even the Steve Rogers presented here isn’t “my Steve Rogers.” I had no real opinions one way or another on the second feature, which is a Spider-Man story, unrelated to the main story. I like Chip Zdarsky’s work as a writer, though, so I’m intrigued. I’ve never been the biggest fan of Andrea Sorrentino’s work, if I’m totally honest. I mean, he’s got an interesting style, and he can layout a page well enough, but his work is always kind of murky and washed out. Not my ideal choice for anything having to do with super heroes. I personally would have preferred the interiors had been more consistent with Mark Brooks’s cover, which I feel is more on par with Marvel’s usual style. With Sorrentino’s interiors, at times, it’s a little difficult to figure out what’s going on in any given panel, and I had some real trouble making out which characters were which. On the plus side, as I noted before, the layouts are pretty strong and he’s clearly having fun working the Cap and Hydra iconography into the shapes of the panels. He seems to get a bit more comfortable as the story progresses, and the final splash page is a good deal stronger than the first few pages. On the flip side, Paulo Siqueira’s work on the Spider-Man story really appeals to me. 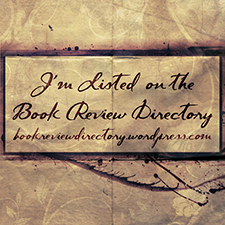 The work is really clean and easy to follow. The characters are all very lively, and sport some of the best expression work I’ve see from any artist that’s not Kevin McGuire. The line work is bold and easy to follow, and the panel layouts do a really nice job of conveying movement as Spider-Man and Vulture sweep through the skies of New York. Siqueira delivers a very iconic take on Spider-Man, in the vein of John Romita, Sr. and Gil Kane, who are two of my favorite Spidey artists. The SE story is pretty decent for what it is, but there’s a big caveat on “what it is.” It’s not a whole story, nor is it a beginning or an end. It’s right smack dab in the middle of everything; it’s the rising conflict that’s leading to the main climax that will be the Secret Empire mini-series. There’s a quick, broad strokes recap of Civil War II and a little of Steve Rogers: Captain America, before kicking things off with Hawkeye being ambushed by some Hydra goons. He’s rescued by Black Widow, who informs his “gonna miss the war.” The rest of the story depicts the major Marvel heroes battling Hydra’s forces, climaxing with the arrival of the Hydra corrupted Steve Rogers. The final splash page shows our heroes defeated, Cap standing over them, wielding a certain thunder god’s magical hammer, while the narration proclaims of Hydra “They were stronger. They were more powerful. In that moment—They were worthy.” This final shot has been the cause of some contention amongst fans, who say it preaches an uncomfortable message of “might makes right.” I personally see that uncomfortable message as an indicator that something’s off here. Cap’s turn to Hydra was the result of the Cosmic Cube rewriting reality. Recent story developments have amended that it was actually setting reality back on the correct path. However, if Mjolnir is allowing Steve to wield it, perhaps this shows that Steve is supposed to be worthy enough to wield it, deep down, perhaps indicating that his true nature really is what we’ve been seeing all along. Zdarsky’s Spider-Man story is a more complete tale. There’s still a bit of a cliff-hanger (leading in to June’s Issue #1 of the series), but we get a fairly standalone little battle between Spidey and Vulture, as well as a quick lead-in conversation between Peter and MJ to help catch readers up to speed on where those two are. The choice of Vulture as the primary antagonist is no doubt inspired by his presence in the upcoming movie, but it was still nice to see him sort of return to his routes, while still not completely backtracking. We also see the introduction of the new Trapster, who I assume will be getting a larger role in the series proper. Above all, I found Zdarsky’s dialogue to be very strong. He’s got a good handle on Spidey’s quips and I even found myself laughing out loud once or twice. I’ll definitely be grabbing the first issue of the main series when it hits.